Woods was down by one stroke on the par-3 16th hole, when he landed in the rough just outside the green. 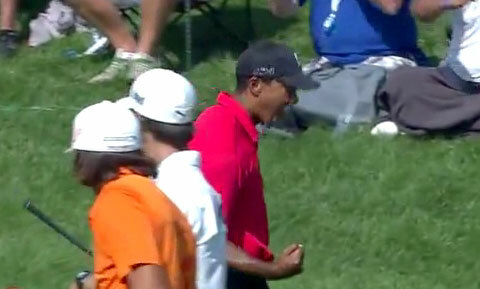 Woods decided to pull out a 60-degree wedge to make the shot and then the miracle happened. Woods went on to sink another birdie at the 18th hole to secure the win, but it was the shot at 16th that had everyone talking. Woods went on to joke with the media.